Emily's Recipes and Reviews | UK Food Blog | Leicestershire : vegetarian aubergine, mushroom and truffle no-meatballs. vegetarian aubergine, mushroom and truffle no-meatballs. If music be the food of love... actually, scratch the soppy music as I wouldn't mind a three course meal and a bottle of white. Any foodie will tell you that dining out or eating in is the best way to celebrate a special occasion. 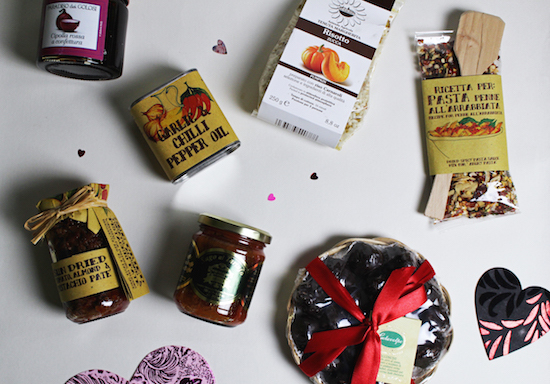 This Valentine's we'll be staying in and buying some extra indulgent ingredients to cook up a (hopefully) delicious meal at home. With romance in mind, Expedia got in touch to see if I'd like to create a Valentine's meal idea inspired by a loved up location. Having been to Paris and Rome with my boyfriend over the years, the decision was a tough one. And then I realised, pasta duh? Italy it is! 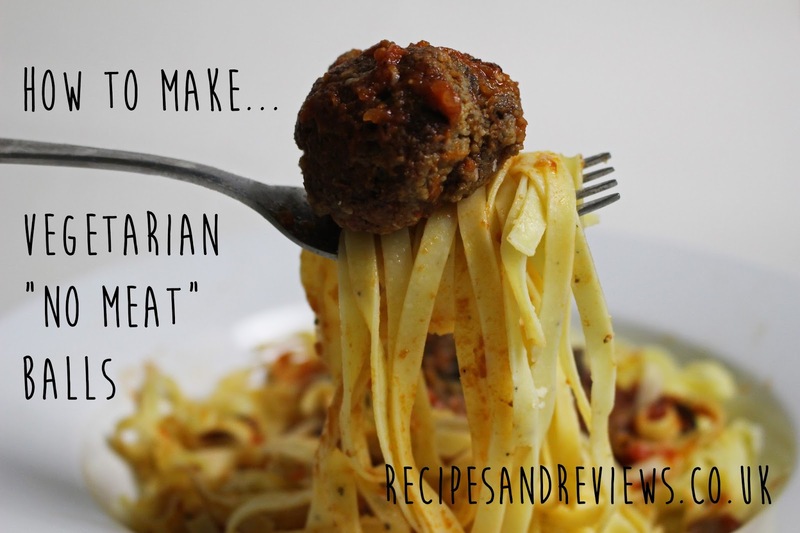 In true Lady and the Tramp style, I've created a vegetarian meatballs recipe that I'm sure veggies and carnivores are bound to fall in love with. A mix of aubergine, mushrooms and garlic with truffle and herb seasoning, simply mix with a rich tomato pasta sauce and your favourite slurp-able pasta. Buon appetito! ♥ 120g long pasta such as spaghetti, linguine or fettuccine. Here I used Italian truffle infused fettuccine that was sent in the lovely Italian hamper from Expedia. Equipment: Baking tray, food processor, frying pan, saucepans. Step one. Chop up your aubergine into small cubes, drizzle with olive oil and roast for 20-25 minutes. Step two. If you're making your own tomato sauce, this would be a good time to start slow cooking it. On a medium heat, warm together chopped tomatoes, a dash of red wine, a crushed garlic clove, 1 tsp tomato puree, a bay leaf and a pinch of sugar. Allow to bubble away and make the kitchen smell awesome. Step three. Whizz together your cooked aubergine, mushrooms, garlic, breadcrumbs and seasoning in a food processor. Step four. Season to taste and add in an egg to bind. Tip: Make the mix a few hours ahead to spend extra time with your dinner date! Step five. Warm a frying pan up to a medium heat with a little oil. Arrange meatball sized balls of the mixture around the pan - the mix should yield around twelve 30/40g balls. Step six. Continue to cook the "meat"balls and turn when the underside looks golden. The take around 10-12 minutes to cook completely. Step seven. Cook your pasta to the packet instructions. This can be at the same time as cooking the balls, or you could keep them warm and concentrate on the pasta afterwards. All this time your tomato sauce will be bubbling away. Step eight. Carefully coat your veggie balls with the tomato sauce, and save a little to pour on at the end. 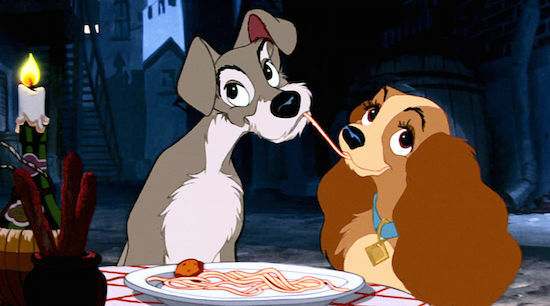 Serve up Lady and the Tramp style with extra black pepper and cheese if you fancy! You've got that song in your head now too haven't you? Yep, me too. What Valentine's dinner plans do you have this weekend? Perhaps dinner with the girls or a special meal out? What is your signature Italian recipe? Or if you're feeling inspired to plan that romantic Italian getaway, explore some gorgeous Italian holidays over on Expedia. Don't forget to check out the other food blogger recipes over on the hashtag #ExpediaWorldOnAPlate too! Such as Almond Waffles from Recipes From A Pantry and Chocolate Eclairs from Little Sunny Kitchen. Post in collaboration with Expedia. These look so delicious. I'm always on the look out for more vegetarian meals for my family so I'm looking forward to trying these! I LOVE the sound of these. They are going onto my meal plan for next week. YUM! Aubergine meatballs? I totally love it. These look amazing, I will have to give them a try. I shouldn't have looked at this so close to dinner time - I'm drooling! This looks beautiful and so delicious. I am so pleased to have found this recipe as I have been looking for this ever since I can back from Bologna - foodie heaven in Italy. This sounds a delicious veggie dinner - would love to give it a go! lime & jasmine collins cocktail with fentimans. five spice scallops with noodles. one pot chilli, tomato and pesto gnocchi. hart's hotels & restaurant, nottingham. king prawn and salmon crispy wontons. strawberry & lime champagne bellini. rose buttercream plant pot cupcakes.